iOS 7 jailbreak available… but beware! Yuletide greetings have come early for iOS jailbreak lovers round the world with the release of a now confirmed untethered jailbreak for Apple’s new mobile operating system iOS 7. For those who are quite uncertain about what the term “jailbreaking” is all about, jailbreaking can be referred to as “hacking” an Apple device such as an iPhone and iPad, so that users can download apps, extensions and themes that are not available through the official Apple App Store. On one side, this allows the user to have more control on the device in question while pushing it to its limits with new theme interfaces and extensions that enable interesting features such as Bluetooth file sharing, WiFi tethering and even game console emulation. But another side of jailbreaking is the ability for mobile application “piracy” where users could download and install free “cracked apps” on their mobile devices. Technically speaking, jailbreaking an iPhone or iPad is NOT illegal. But Apple has warned that the practice “can violate the warranty”. It is worthy to also note that jailbreaking your device eliminates security layers designed to protect your personal information and your iOS device which could lead to hackers stealing your personal information, damage your device, attack your network, or introduce malware, spyware or viruses. Finally you should know that unauthorized modification of iOS is a violation of the iOS end-user software license agreement which gives Apple the full right to deny service for an iPhone, iPad, or iPod touch that has installed any unauthorized software. But all these don’t scare a LOT of people… one bit. However, a number of tweaks do work, and thanks to iJailbreak, iPhonehacks.com and RedmondPie, here is a short list of confirmed working and not working tweaks. Please go through them carefully to decide if jailbreaking is okay for you at the moment. Activator (beta version) – You need to add Ryan Petrich’s repo rpetri.ch/repo to install the beta version. Activator (beta): some things don’t work it also has a rather annoying message every time you unlock the device. BytaFont7: you have to move the .app folder to the correct location, and it never resprings to install the font. I have had some people get it to kind of work. Iconoclasm7: only one icon set works. Winterboard: It installs but won’t install themes. Barrel: The tweak puts the Device into safe mode when you swipe the page. Springtomize 2: has no affect on device. Zeppelin: You can manually install this tweak but has no affect on status bar. So, when it comes to this matter of jailbreaking iOS 7, we are reminded that “good things come for those who wait.” Cydia is known as the jailbreaking community’s preferred app Store and until several of the commonly used tweaks are working perfectly, you might as well relax and enjoy the holiday; not just for what it is, but for the hope of more dependable updates. But of course, if you do intend to get along with it, alongside the risks, you can get Evasion 7 here for Windows and here for Mac OSX. 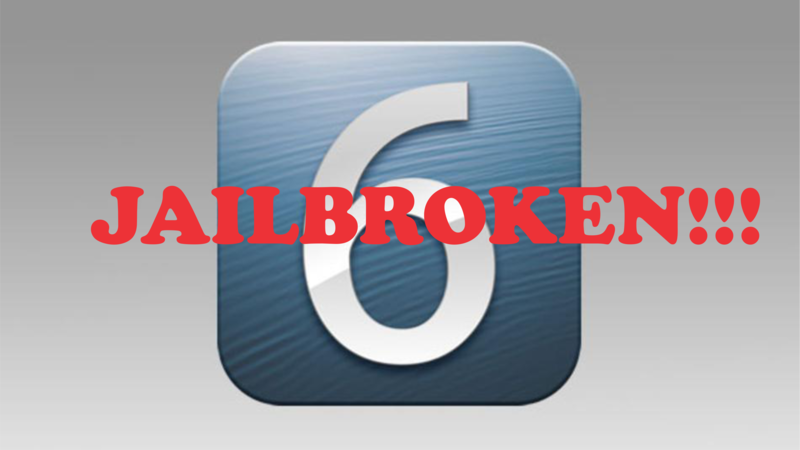 iOS 6 untethered jailbreak now available! If you have been one of the many people crying everyday because you somehow obtained an iPhone, iPad or iPod touch device on iOS 6 and above of which, you could not enjoy the numerous benefits of jailbreaking, dry your tears and read through. iOS 6 has FINALLY been pwned!! iOS 6 came in with a number of new additions that is actually worth the upgrade. iOS 6 brings “Siri” to the iPad 3rd generation and iPod touch 5th generation, facebook integration, camera improvements, all new UI for AppStore, Music, Calendar, Clocks, Weather and a host of other new things you have always expected to see. A possible jailbreak was anticipated and now it is here! And one more thing: it is compatible with Windows, Linux and Mac so dont worry. These guys have got you covered no matter your PC operating system.